We take the baby announcement and do more than just print it - we make cool coordinating designs from it so it truly a one-of-a-kind gift! 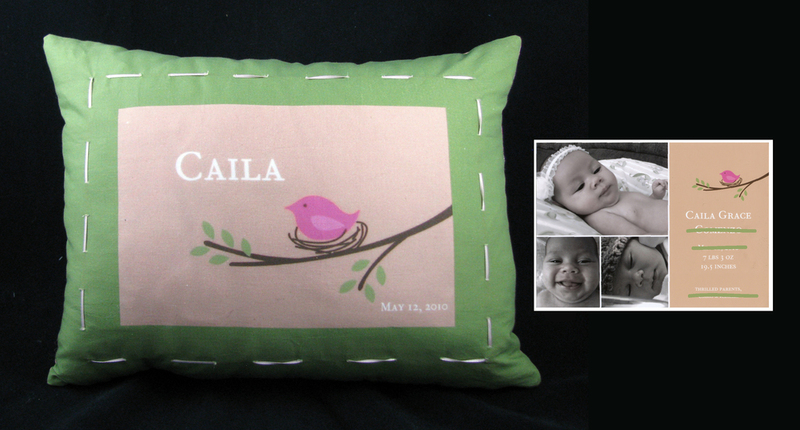 Or, personalize one of our fun designs! Email us at info@thepiecedpalette.com to discuss your project!